12/04/2019 17:12:00 | Et cetera | Guten Morgen! Wir freuen uns, Sie darüber zu informieren, dass wir heute den Newsletter mit Nachrichten auf Englisch, Deutsch und Russisch gesendet haben, um Ihnen das Gebiet Venetiens. Legality: companies like credit ratings, in half a year more than 80% of companies with the “morality stars”. A document of Unioncamere demonstrates it. Join us TONIGHT for the annual SIEF fundraising! 28/03/2019 11:40:00 | Economy | Am Ende 2018, nach der Angaben der Handelsregister, die von Infocamere verarbeitet wurden, im Holz und Möbel Bezirksgemeinden waren 1.123 Betriebsgesetzessitze und 513 abhängige örtliche Einheiten aktiv, die fast 17.800 Mitarbeiter beschäftigten. Legalität: Die Firmen mögen das Rating, in eineinhalb Jahren 80% mehr Firmen mit den “Moralitätssternen”. Ein Dokument von Unioncamere zeigt das. 18/03/2019 11:00:00 | Economy | Die Koexistenz von verschiedenen Betrieben nach Maβ, Strategie und Produkttyp – vom multinationalen Unternehmen bis zur handwerklichen Werkstatt – es ist das Merkmal, das den Bezirk kenngezeichnet hat und noch heute seine Zusammensetzung charakterisiert. 27/02/2019 14:20:00 | Et cetera | Search companies by Name, Activity, Location, Import, export. 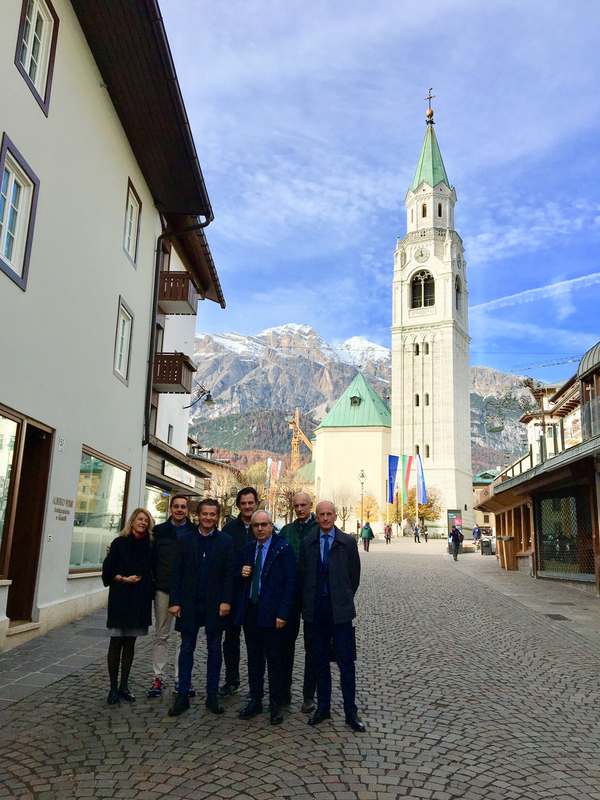 13/02/2019 11:56:00 | Events | München wird, noch einmal, die Hauptstadt von dem “Lokomotive-Land” der deutschen Wirtschaft, die das touristische System von Treviso beherbergen wird, das immer auf der Suche neuen Gästen ist. Tbdotcom: welcome to the company HURACAN s.r.l. Enjoy your holidays in Belluno! Pozza: full support to the proposal of Governor Zaia for the candidacy for 2026 Winter Olympic Games. 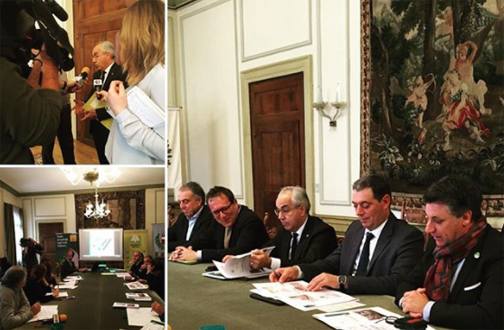 23/03/2018 10:03:00 | Economy | The Treviso-Belluno Chamber of Commerce considers the candidacy a unique opportunity for the relaunching of a territory worthy of being awarded. An indoor market in the Treviso city center, in the spaces of the Chamber of Commerce. 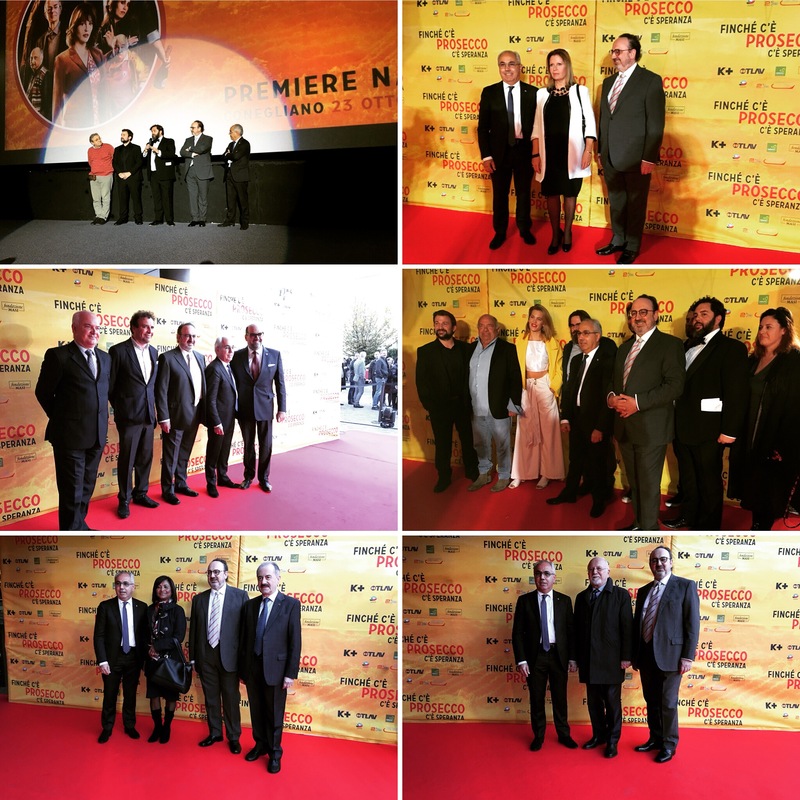 Mario Pozza: the Chamber of Commerce is the real house of the companies. A unique project in Italy. 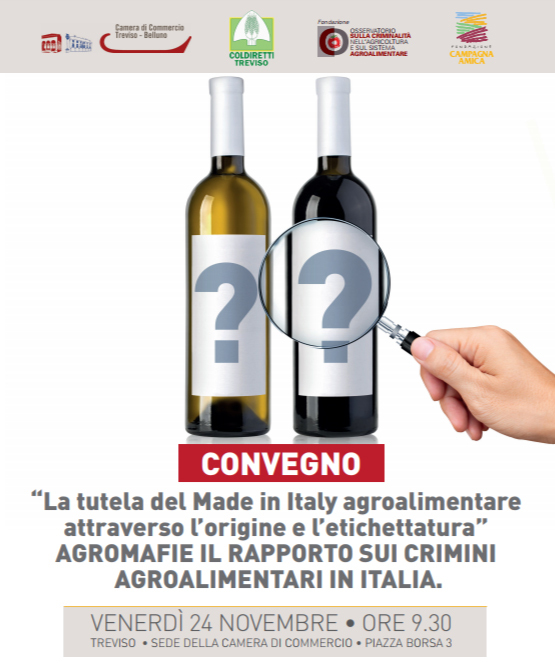 15/11/2017 18:29:00 | Economy | Grand opening on Friday, November 24th after the Conference about Agro-mafia at the Chamber of Commerce. Tbdotcom: welcome to the company Generalfilter Italia s.p.a.
16/11/2017 13:19:00 | Courses & Conferences | At the end of the Conference, around 12:00, there will be the grand opening of the new “RIVIERA SANTA MARGHERITA MARKET” in Piazza Giustinian, closed to the Chamber of Commerce. 03/11/2017 09:20:00 | Economy | The number of enterprises in the two Provinces starts growing again, net of the compensations between tertiary and industry; in Treviso it did not happen since five years. 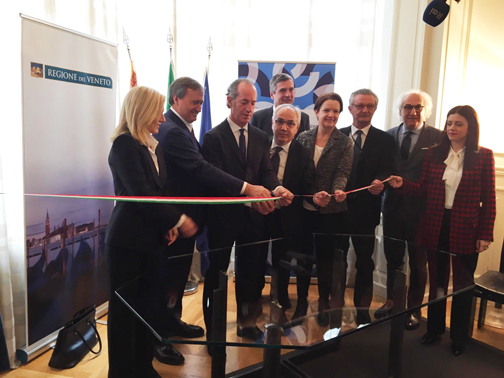 The Treviso-Belluno Chamber of Commerce invests 420 thousand Euros in culture and tourism in 2017. 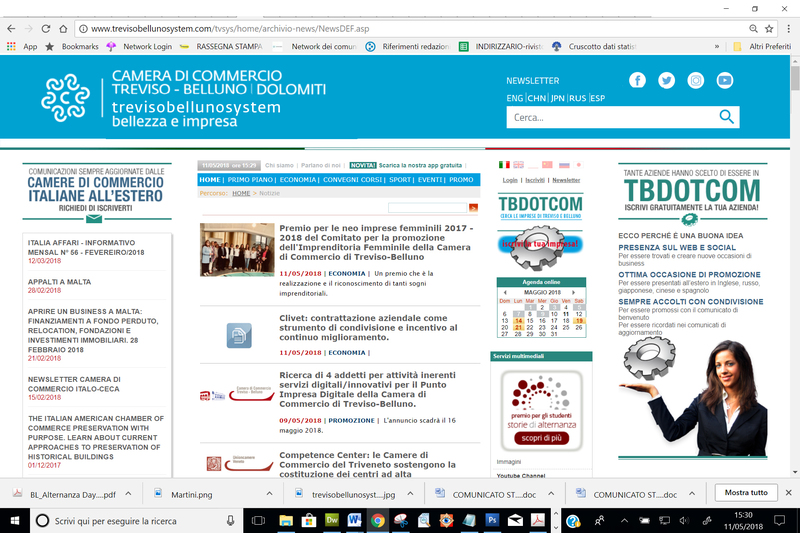 27/10/2017 12:07:00 | Economy | 27/10/2017 | ECONOMY | New competence on tourism for the Chambers of Commerce. 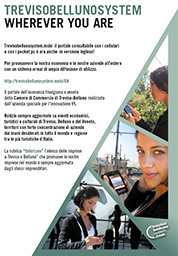 Frontline of the Treviso-Belluno –Chamber of Commerce with a strong financial commitment. 31/10/2017 17:38:00 | Et cetera | Herzlich Willkommen an dem Unternehmen: NeuroWebDesign Srl der jetzt im Community “tbdotcom: Netzwerk der Unternehmen von Treviso und Belluno” anwesend ist. 31/10/2017 17:43:00 | Et cetera | Herzlich Willkommen an dem Unternehmen: Selina der jetzt im Community “tbdotcom: Netzwerk der Unternehmen von Treviso und Belluno” anwesend ist. 31/10/2017 17:36:00 | Et cetera | Herzlich Willkommen an dem Unternehmen: Azienda Agricola Conte Collalto der jetzt im Community “tbdotcom: Netzwerk der Unternehmen von Treviso und Belluno” anwesend ist. 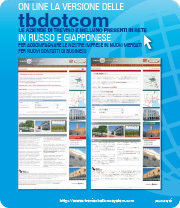 Tbdotcom: welcome to the company DUCA di DOLLE Società Agricola S.S.
Tbdotcom: welcome to the company Distilleria Bonaventura Maschio S.r.l. 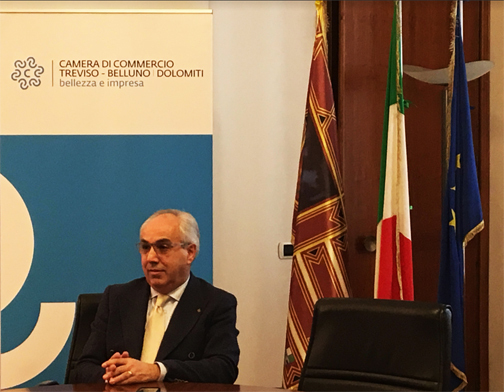 07/09/2017 15:06:00 | Economy | Pierre Moscovici: A high level of protection of intellectual property is crucial to support growth and create jobs. 07/09/2017 09:00:00 | Economy | It is important to note that the criteria in the area of pesticides and biocides will apply also to substances for which assessment or re-evaluations are already ongoing. 26/07/2017 10:38:00 | Economy | In the two Provinces continues, slowly reducing, the contraction trend of the number of enterprises, on annual basis. Artisanship is still suffering. Positive conjuncture variations, but just for the usual administrative effects. 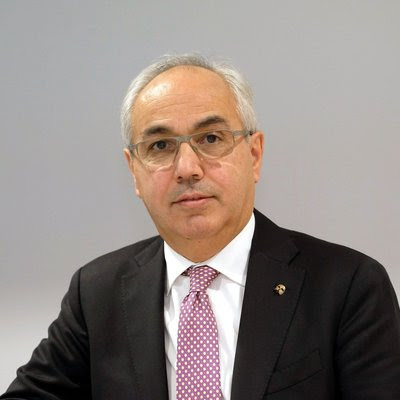 09/04/2015 09:47:00 | Economy | The Commission considers, in particular, that these schemes for the French aviation sector promote regional connectivity without causing undue distortion of competition in the Single Market. 12/03/2015 16:11:00 | Economy | The Trade in Services Agreement is a trade agreement currently being negotiated by 24 members of the World Trade Organisation (WTO), including the EU. 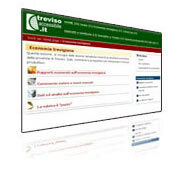 Registro delle imprese: An institutional source and guaranteed by law. 02/10/2014 12:55:00 | Economy | The Commission fully shares the objective of public health and fight against obesity pursued by the recommendation of UK government. 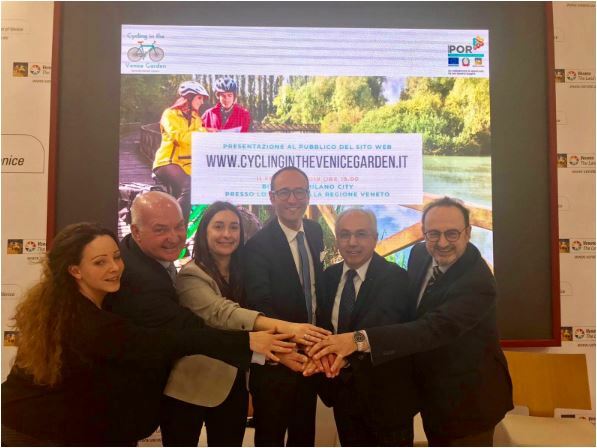 Promotion for Veneto candidacy to host Tour de France Grand Départ started in Padua at the International Bike Show. 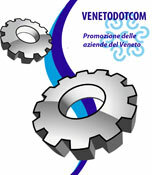 25/09/2014 09:48:00 | Economy | Veneto Region and VeneTour: the Tour starts from ExpoBici. Veneto a region with a strong cycling vocation. 23/07/2014 13:01:00 | Economy | Thanks to the € 1,3 bn allocated in the COSME budget for SME financing, it will be possible to mobilise up to € 25 bn via leverage effects from financial intermediaries over the next seven years. 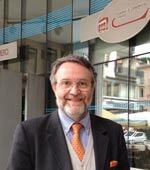 20/06/2014 15:46:00 | Economy | Impossibile sostenere l’attività Universitaria dello IUAV, l’accesso al credito, gli investimenti innovativi. Chiude la sede di Conegliano. 23/05/2014 11:20:00 | Economy | The aim of the project is to produce a synthetic index of the earning capacity of the companies that takes into account the investment choices and the risks that characterize the enterprise. In the Veneto region, north-east of Italy, there is a landscape rich in enchanting villas and buildings, attractive places for Italian and international business tourism. Radicchio Rosso di Treviso. Treviso is world known for the Radicchio Rosso Trevigiano production.